The IHRC has called for an immediate cessation of the political and media witchhunt against Nicholas Anelka triggered by the “quenelle” gesture he made after scoring in an English Premier League match last month. Anelka’s celebration earned him an instant rebuke from the French sports minister who called it a shocking and disgusting provocation inspired by anti-Semitism. Since then the celebrated former French international has also been charged by the FA for making the “abusive and/or indecent and/or insulting and/or improper’ gesture”. His club West Bromwich Albion’s sponsor, Zoopla, has stated it will not be renewing its sponsorship when it expires at the end of the season. Anelka has been attacked for the gesture on the claim that it is an inverted Nazi salute. However the claim is at best tenuous and not backed by historical evidence. 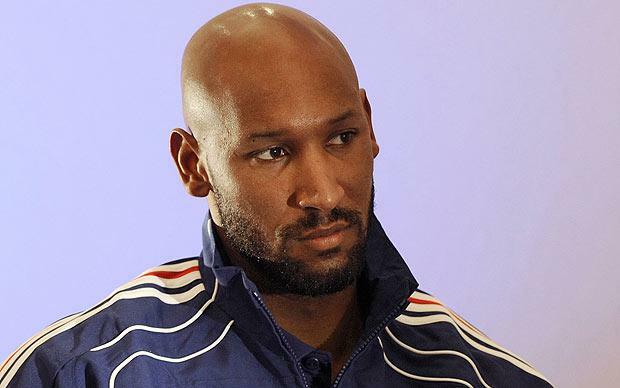 Anelka, who embraced Islam in 2004, has explained that his use of the gesture was made as a show of support for the targeting of French comedian Dieudonné M’bala M’bala for using the quenelle and that there was no suggestion of anti-semitism. In fact the quenelle has become an extremely popular anti-establishment gesture in France, being used extensively by the young as an expression of defiance of the authorities. It has also been used by other footballers. Defender Mathieu Deplagne who plays for Montpelier in the French league made the quenelle in January 2013. However, despite the fact that his goal celebration was splashed over the papers, it did not earn him any rebukes, let alone the opprobrium that has been directed at Anelka. Deplagne has come out in support of Anelka claiming that a political storm is being whipped up by mischievous people in politics and the media.